Press release: Sea-Watch demands independent investigation of the illegal return of an overcrowded wooden boat • Sea-Watch e.V. 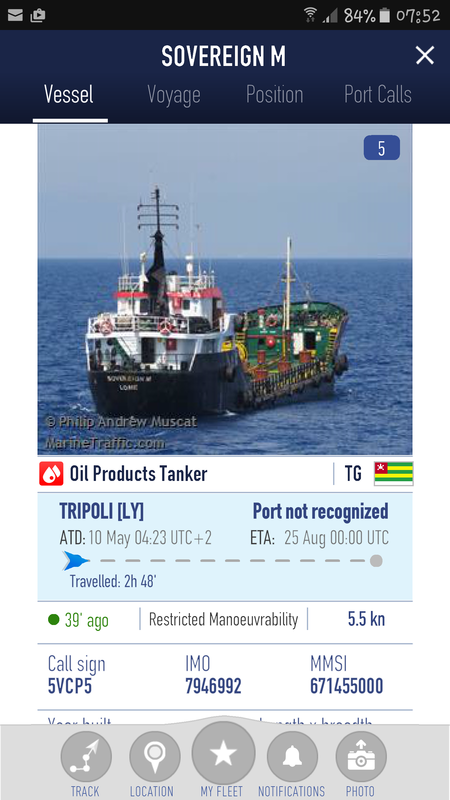 #1 Did the manoeuvre take place in Libya’s territorial waters? No. Our position was 33° 08.9’N 012° 28.9’E. This is 20 nautical miles from the Libyan coast, which is further than the 12 nautical miles where Libya has sovereign rights. Bordering this 12 mile zone is the “Contiguous Zone” or 24-mile zone, where we were positioned. In this zone, a state may exercise necessary control to prevent breaches in customs, health and immigration regulations. Since there were no such breaches, such as fishing or smuggling oil, the same laws apply as in international waters. For persons in distress at sea, a return to territorial waters is illegal according to the international principle of non-refoulement. #2 Was the return legal? At sea there are defined give-way rules. Maritime law states that when two vessels cross course, the one that has the other vessel on the starboard side must give way (Rule 13 & 15 COLREGs). 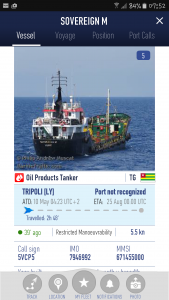 In this case, the Libyan patrol boat 206, which was significantly faster than the Sea-Watch 2 should have given way to Seawatch, which was on their Starboard side. 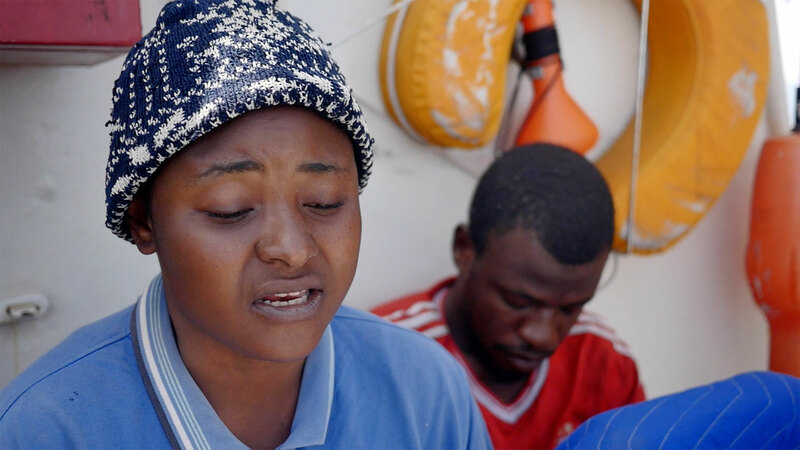 In this situation, Sea-Watch captain Ruben Lampart was unable to carry out the „Manoeuvre of the Last moment” because at the same time, our second rescue boat was being craned into the water. On the surveillance cameras you can see a part of the crew at the crane position on the upper deck. 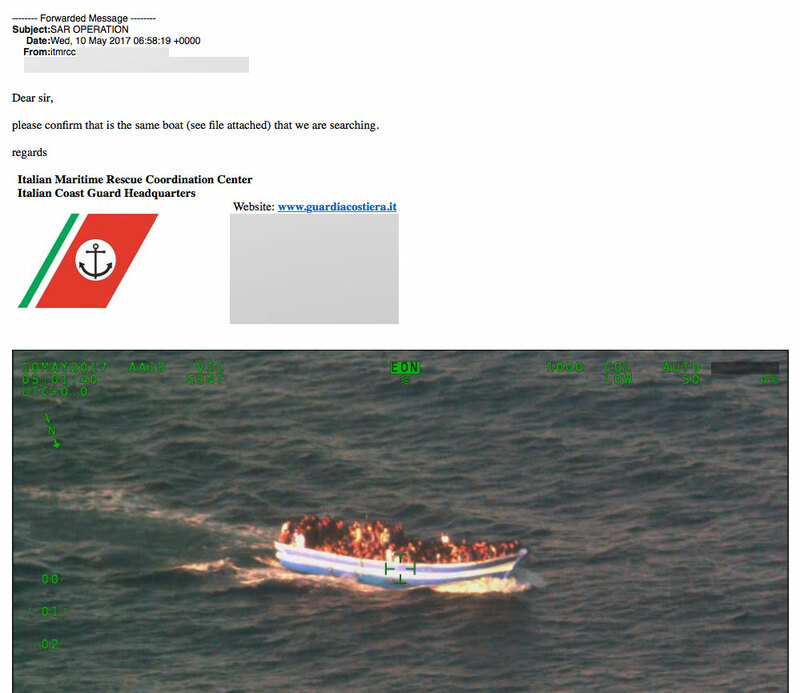 The Maritime Rescue Coordination Centre (MRCC) in Rome instructed us by email at 07:42am to attend to the rescue of the wooden refugee boat : „Please divert your course and proceed toward the mentioned position to render assistance”. Our Captain attempted to contact the patrol boat 206 by radio to coordinate a joint rescue. No-one answered. After our first rescue boat was deployed, we were instructed that the Libyan coast guard had on-scene command of the rescue. We therefore ordered our rescue boat back immediately. At no time did we try to interfere or hinder the transfer, as a spokesperson from the Libyan Navy, Ajub Kassem claims. 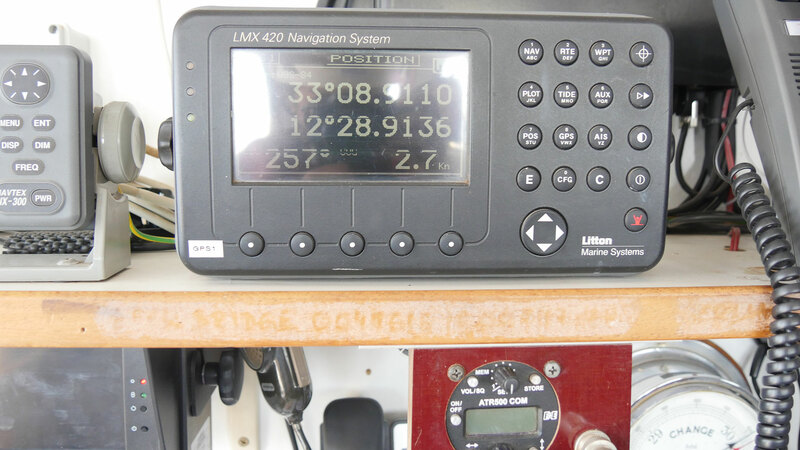 Rather, the patrol vessel endangered Sea-Watch 2 and its crew with it´s daring manoeuvre. #5 Does the LYCG care about facts and figures? The rescue operation was carried out and it was rescued 350 immigrants , After an hour they arrive Tripoli . For further inquiries please contact our spokespersons Theresa Leisgang and Ruben Neugebauer via mail at presse@sea-watch.org.